Each year in January, People Matters celebrate the excellence in Rewards, Benefits, Culture and Wellness. These awards recognize different aspects of Total Rewards. 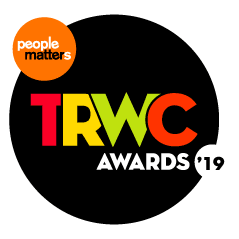 The People Matters Total Rewards Awards serve as an opportunity to learn about the best practices across the HR organization; it helps identify and recognize impactful initiatives in our community. Over 300 companies participate every year, making this award the largest and most reputed Total Rewards awards in the community. If your team has created a tremendous business impact designing the leading best practices in total rewards, join and share this success story with us at the People Matters Total Rewards & Wellness Conclave scheduled on 16 Jan, 2019 in New Delhi. The deadline for the sending applications for Best In Employee Volunteering ( Brought To You By Goodera) edition is 7th December! Best In Holistic Recognition – Application Closed. 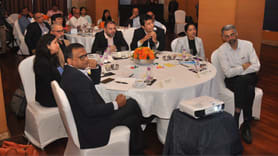 Recognizing excellence in adopting innovative methodologies to appreciate employees. Best In Employee Wellness - Application Closed. Recognizing excellence in unique programs that enable physical, mental, social and/or emotional wellness with high employee coverage. Recognizing progressive organizations that are designing working parent-friendly initiatives to ensure the productivity and inclusiveness in the workforce is not impacted with the childcare. Recognizing excellence in fostering a culture that enables and pushes teams and individuals to deliver much above the expectations. Recognizing excellence in designing proactive strategies leveraging data & analytics to boost employee engagement. Recognizing excellence in leveraging technology and analytics (homegrown or market available) to design personalized and impactful initiatives. Best In Employee Volunteering ( Brought To You By Goodera) - Click here to apply. Recognizing excellence in employee volunteering initiatives that enable purpose-driven work, emotional wellness, and high employee engagement.